North Park Trail Runners (NPTR) is a fast-growing group of individuals who share a passion for trail running. They share this passion with the community through their weekly organized runs that are open to anyone. Additionally, NPTR volunteers at regional trail races and performs local trail-maintenance projects. Their home base is North Park, (located roughly ten miles north of Pittsburgh, in Allison Park, PA) but they frequently participate in events and races that span Pennsylvania and into Ohio. NPTR was founded in 2012 by Mark Knapp. What started out as a small group quickly grew, and by 2013, there were 400 members. Today, that number has grown to 1,600 members. In the spring of 2017, NPTR formed a Board of Directors and launched a public website and public Facebook page (in addition to the already existing Closed Facebook Group). In July 2017, NPTR was granted 501(c)(3) status. 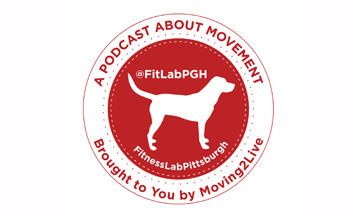 FitLabPGH interviewed Matt Sudak, President of NPTR, and Amy Nelson, who leads the Marketing efforts for the organization. Both Matt and Amy are members of NPTR’s Board of Directors. For more information about North Park Trail Runners or to access their group-run calendar, visit: http://www.northparktrailrunners.com or connect with them on Social Media using the links below.